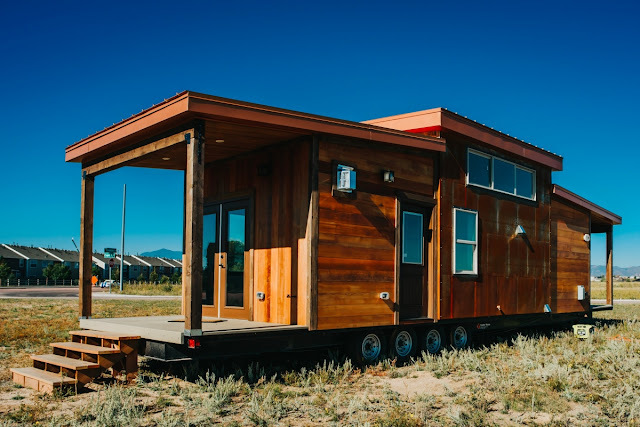 While the Mount Antero may be a 328 sq. ft. tiny home, its occupants are definitely living large! 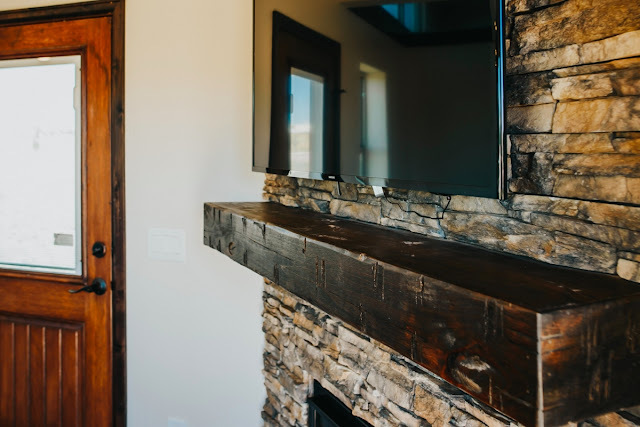 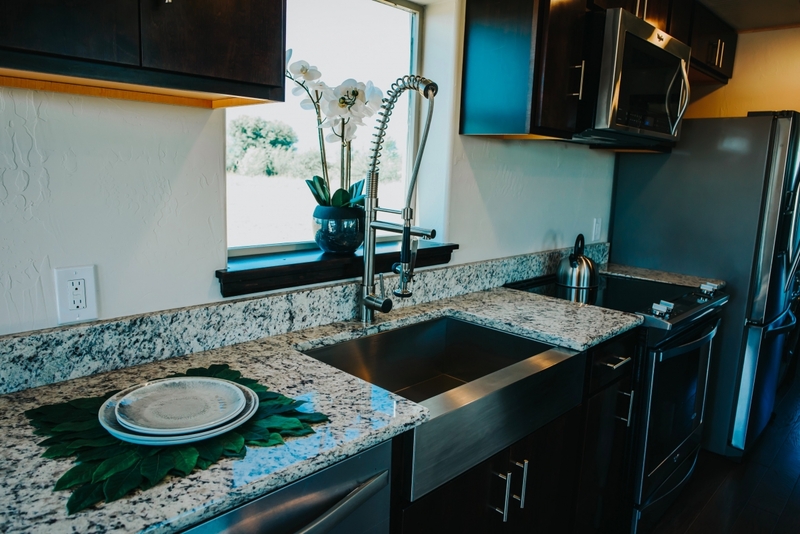 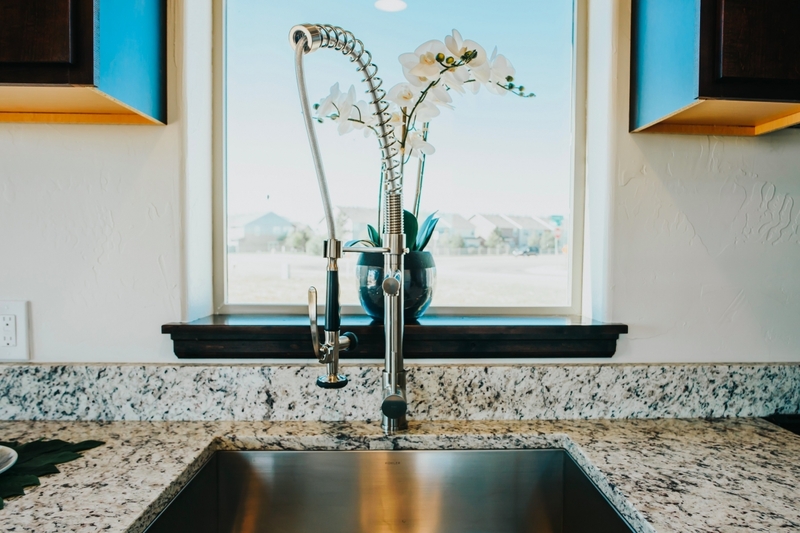 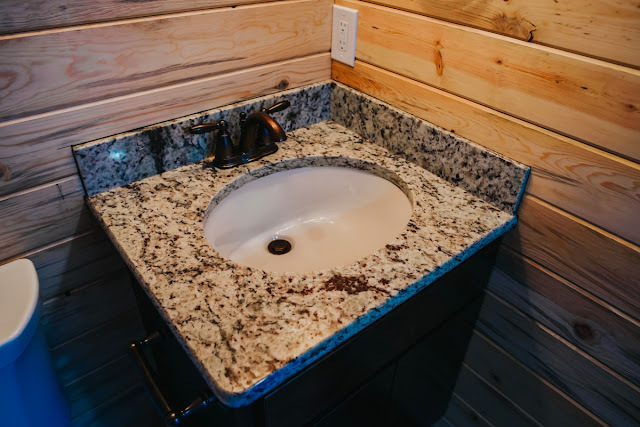 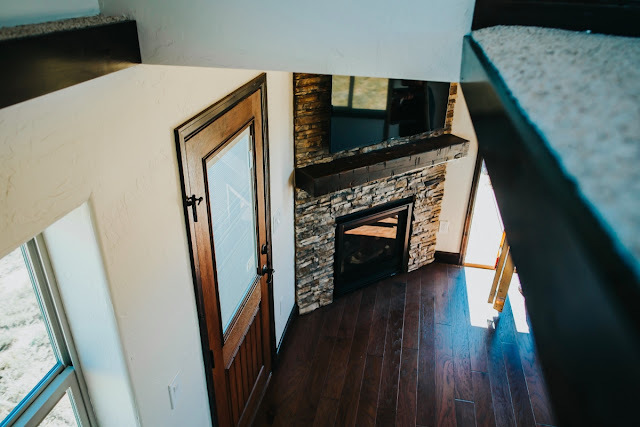 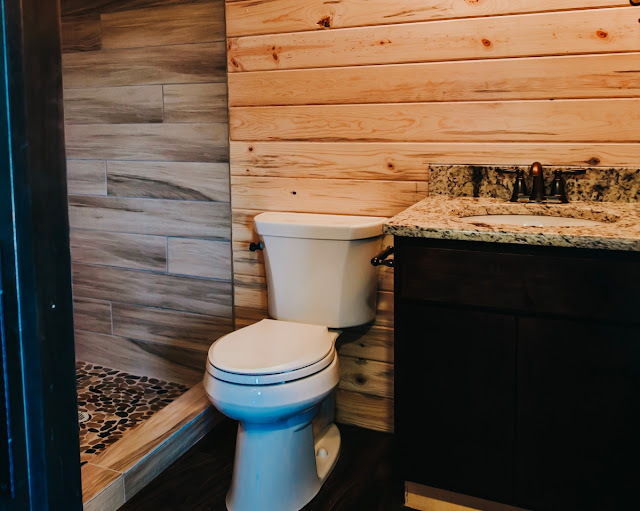 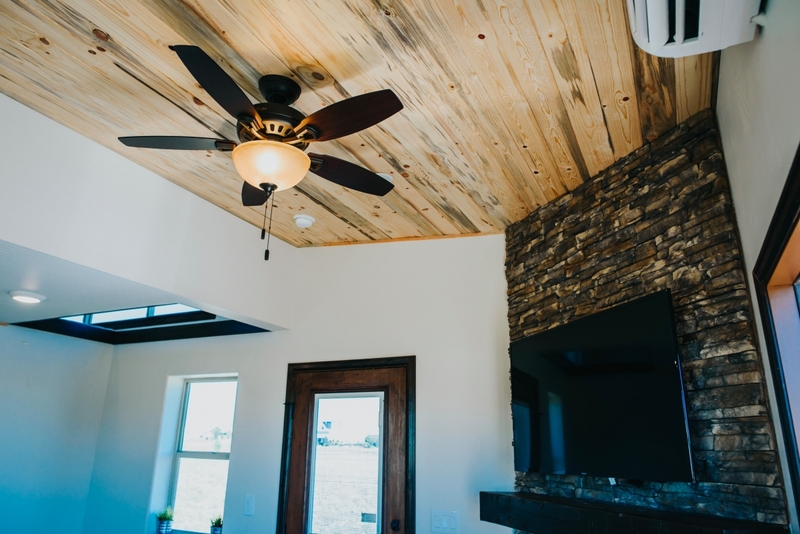 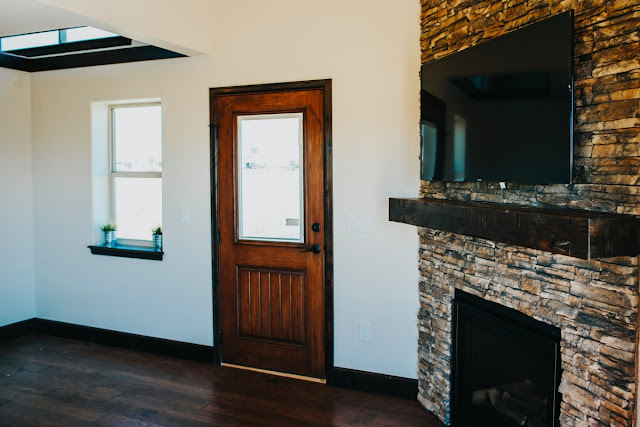 This modern home from The Tiny Home Co, features granite countertops, beautiful fixtures, and a built-in fireplace, is the epitome of luxury. 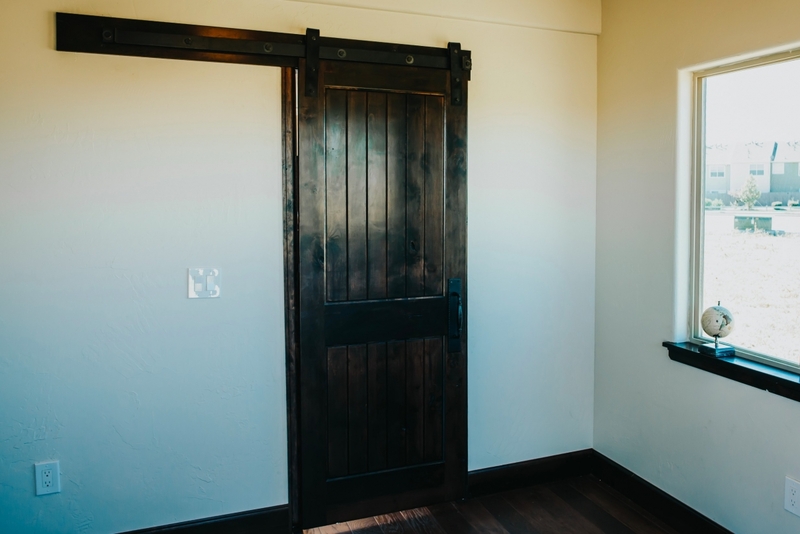 When you enter the house through the side door, you will first encounter the living area. While not completely furnished, you will observe that there is plenty of room to decorate as you wish. From the living room, you can access the lofted bedroom via ladder. 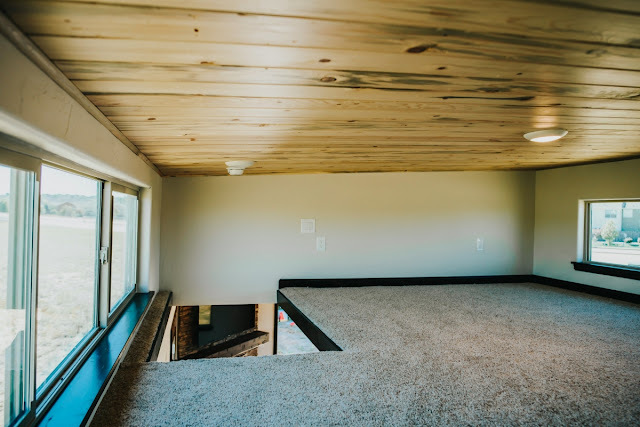 The oversized lofted bedroom extends over the master bedroom that is located on the main level past the kitchen. 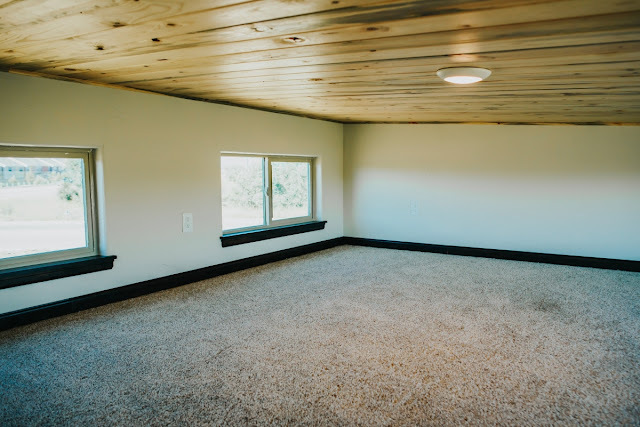 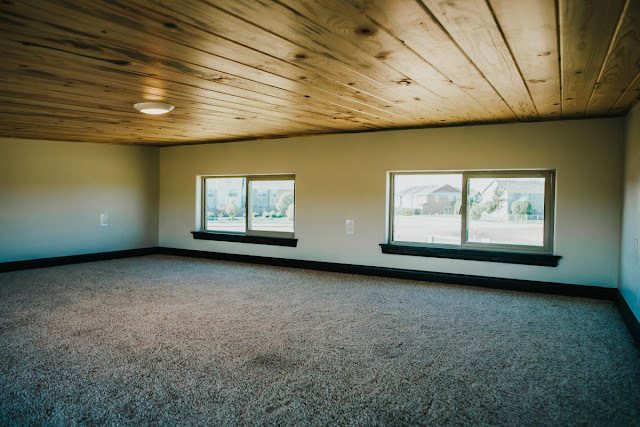 Having two large bedrooms and a living room means that a friend group or small family would comfortably fit in this tiny space! 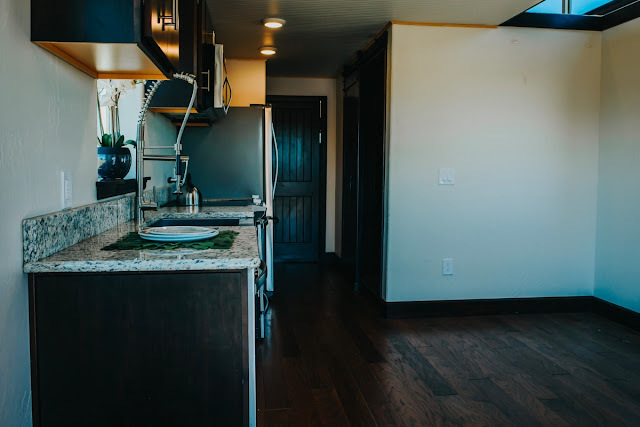 Past the living room is the kitchen. 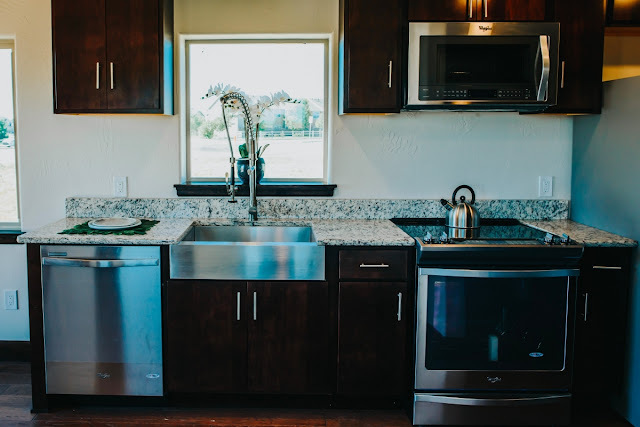 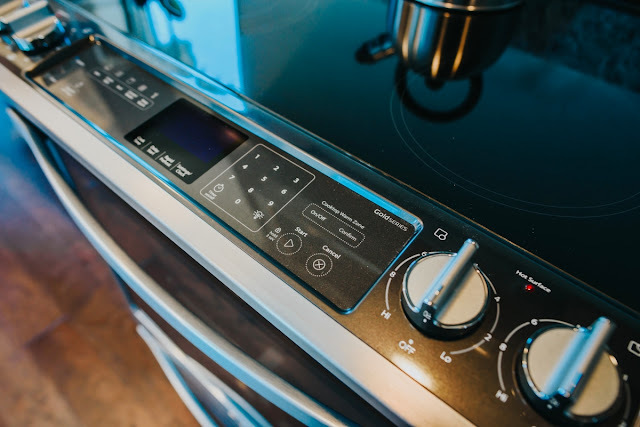 The kitchen is equipped with a farm sink, 4-burner stove/oven, full-sized refrigerator/freezer, microwave and dishwasher. 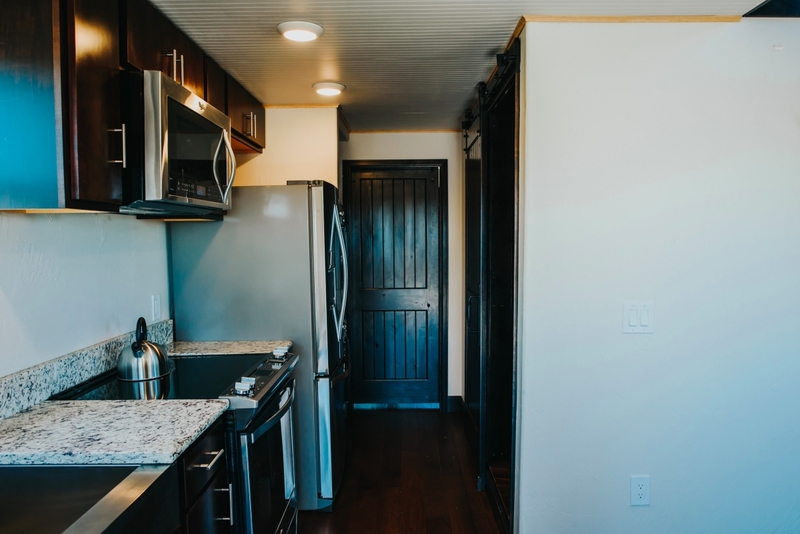 Bordering the kitchen, in its own compartment, is a stacked washer and dryer unit. 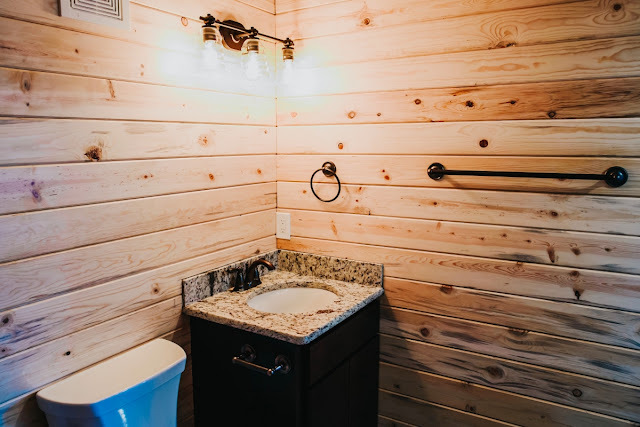 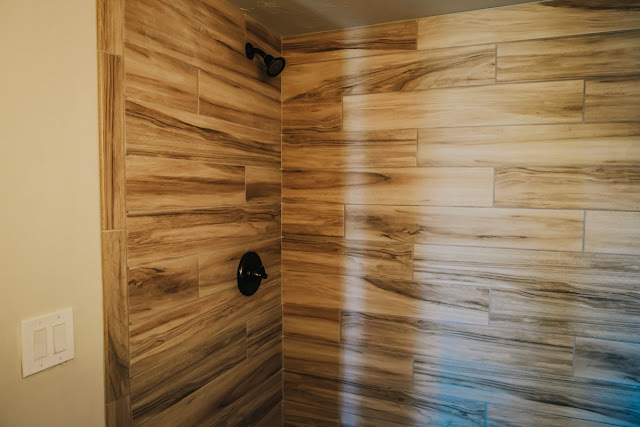 Finally, across from the kitchen is the bathroom furnished with a granite countertop vanity, dark wooden cabinets, standard toilet and walk-in shower. 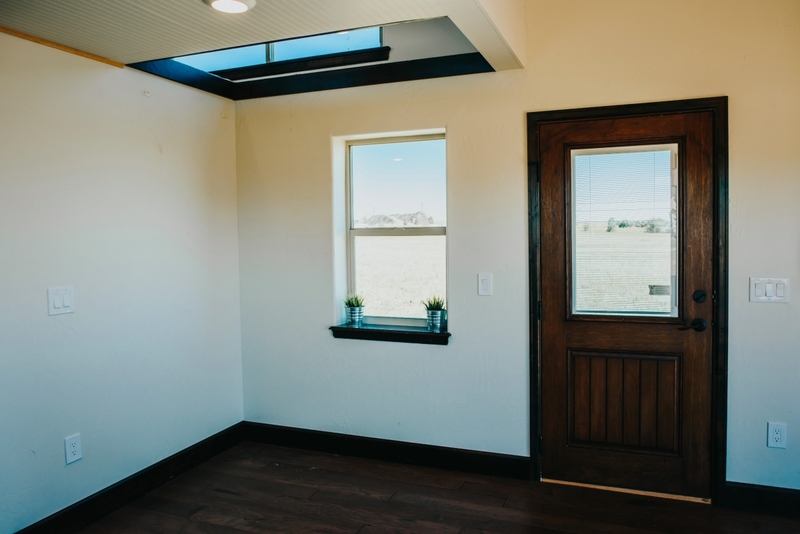 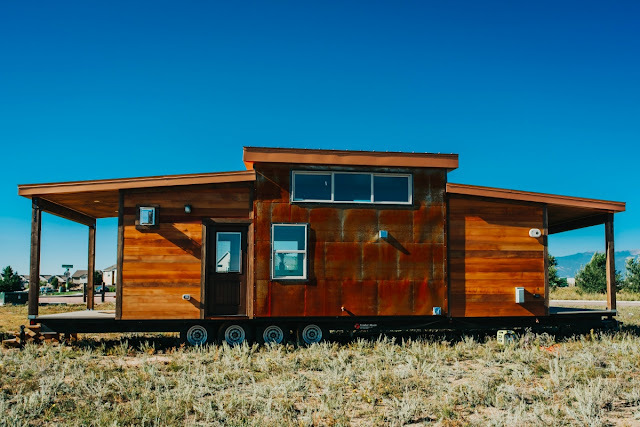 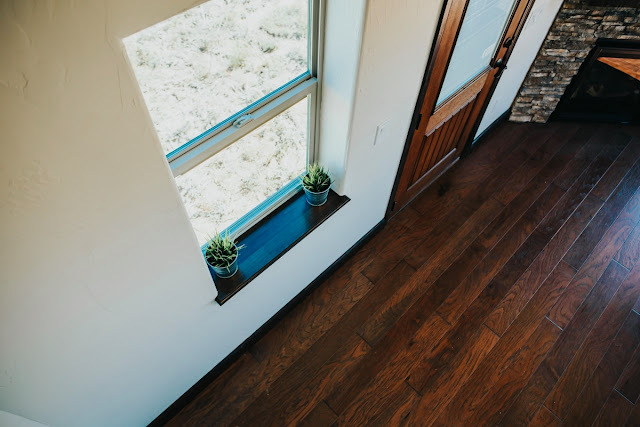 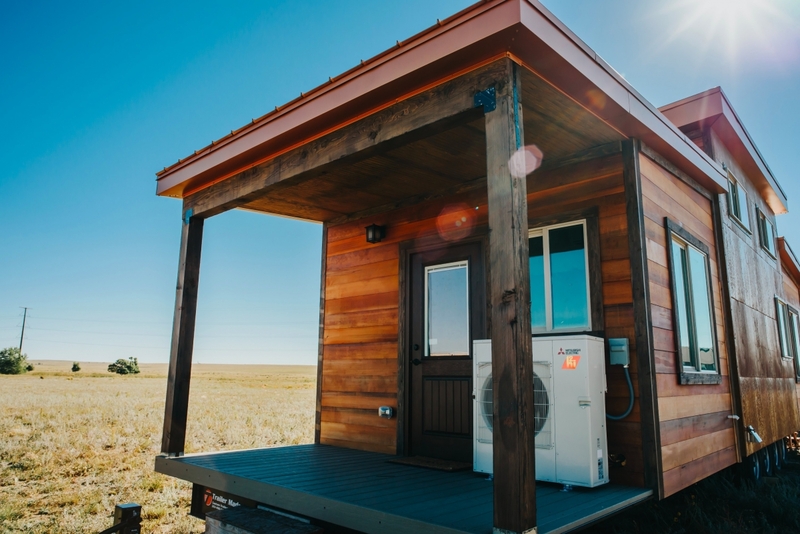 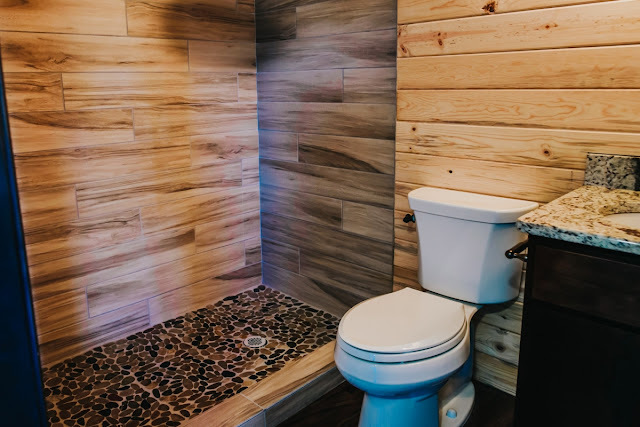 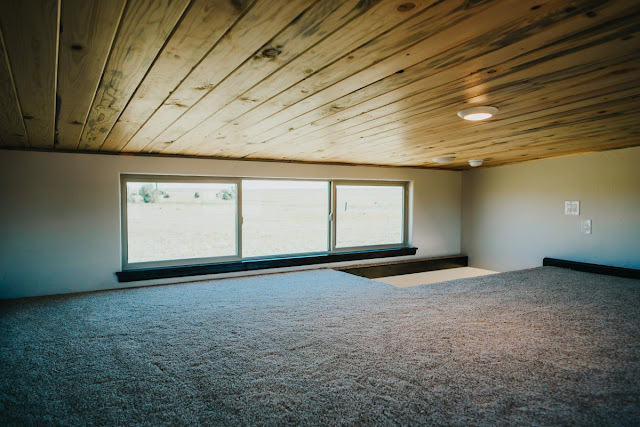 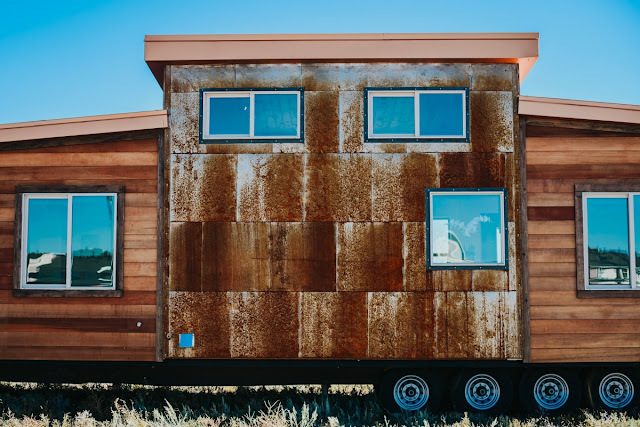 For more information on the Mount Antero tiny home, contact The Tiny Home Co. here. 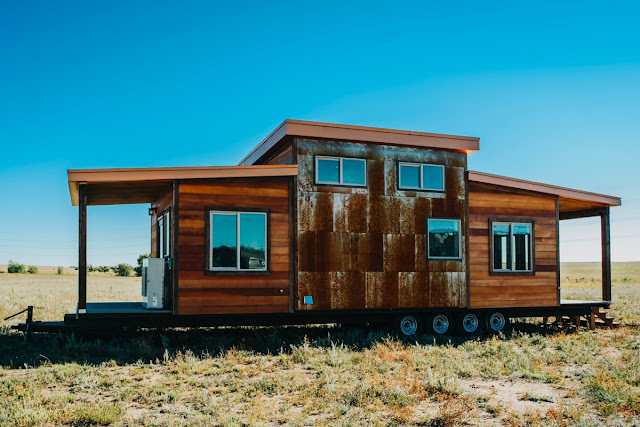 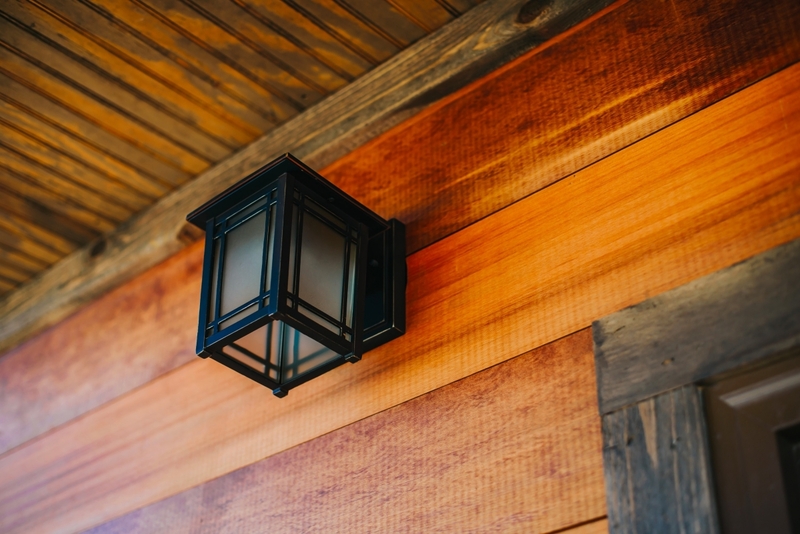 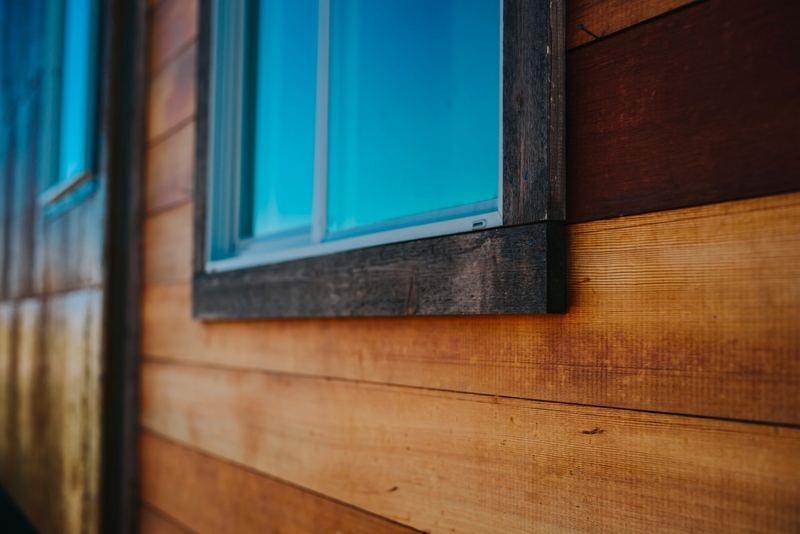 Images © The Tiny House Co.